Austria-based software developer Keyper claims to have the leading cross-platform solution for the sale and distribution of tickets for sports, entertainment and arts. The solution is agnostic to primary platforms – it can integrate with any – and provide rightsholders with further control over secondary marketing whilst also improving the ticket-buying experience. We caught up the smart team at its Wiener Neustadt HQ to probe further. How does Keyper’s technoloy work? We have two solutions for ticket sales and distribution: a mobile solution and a business solution. 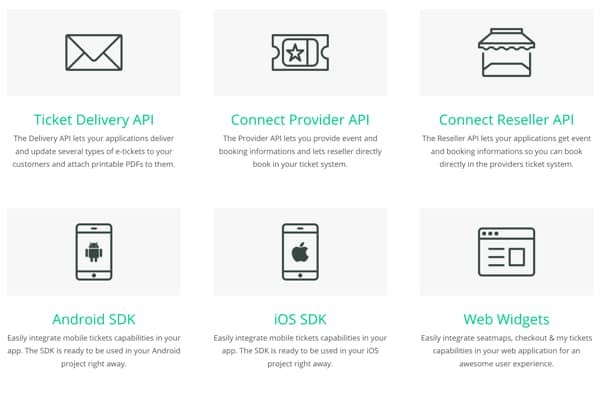 For the mobile solution, we use a similar proprietary technology to blockchain, and we have an SDK which is integrated directly into the rightsholder app. The Android SDK is easy – just a few lines of code (see here for more). There will be a My Tickets section in the app where fans can manage and handle their tickets and transfer tickets if they cannot make a game or if they have bought for other people. It is fully integrated across a smartphone’s functionality, so if I want transfer you a ticket, all I need is your number in my address book. I type it in and you receive an email or a text. How does the mobile solution work? The recipient receives a ticket invite from a friend or colleague via Message – that can be email, SMS, Whatsapp, Facebook etc. They then need to accept the terms and conditions of the club, which is a basic dataset and a requirement to opt-in to receive further communication. The recipient is now a new customer of the club whereas before they would have just been an unknown visitor. On the one hand, this service can solve the already mentioned problems of the sports market (i.e.No-shows, identification of the customer and the secondary market). On the other hand it also brings far more advantages and added value to clubs and ticketing provider. We explain how it works in this video. What are the key benefits of the solution? Upgrading and extending existing service functions as a white labeled solution. Increase cross-selling with customized offers. Elimination of scattering losses when applying individualized services (seat delivery, etc.). The technology is currently integrated into the club apps of FC Basel 1893, Switzerland, FK Austria Vienna, Austria and Karlsruhe SC, Germany, and with others set to be announced soon. The average football club can expect to generate around €1.5m more per season with this technology – whilst at the same time fans can expect a smoother ticket buying and sharing experience than has ever been available before.